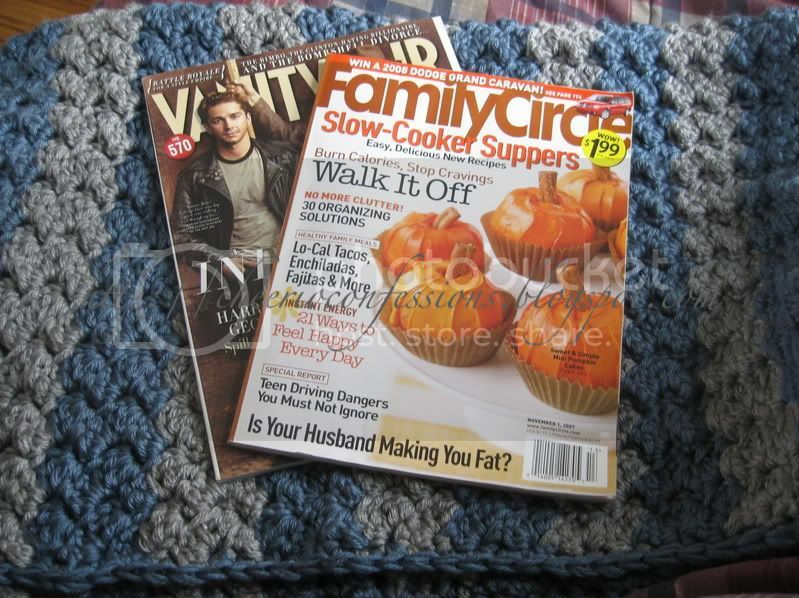 In this lovely package from April, I received a handmade blue and gray blanket for Tiny and two magazines for me. 🙂 I just love this blanket! It is super, duper soft and snuggly. I can’t wait to use it for Tiny.